Lincoln, Neb. — More than 650 youth from 37 states will compete in the 2018 4-H Shooting Sports National Championships, hosted by Nebraska 4-H June 24-29 at the Heartland Public Shooting Park near Alda, Nebraska, and the Heartland Events Center in Grand Island, Nebraska. The participants, ages 14-18, will compete in 27 events in nine discipline areas. "4-H youth shooting sports participants from across the country look forward to participating in this major competition," said Steve Pritchard, Nebraska Extension educator and coordinator of Nebraska's 4-H shooting sports program. Events include compound archery, recurve archery, air rifle, air pistol, .22 rifle, .22 pistol, shotgun, muzzleloading and hunting skills. States can send up to nine teams to compete, with a maximum of 36 youth representing each state. The competitors, coaches, and their families add up to more than 2,000 people attending the event, a boost to the economy of Grand Island and the state. More than 125 volunteers from Nebraska and other states help organize and conduct the events. "Volunteers are extremely important to the success of the event. 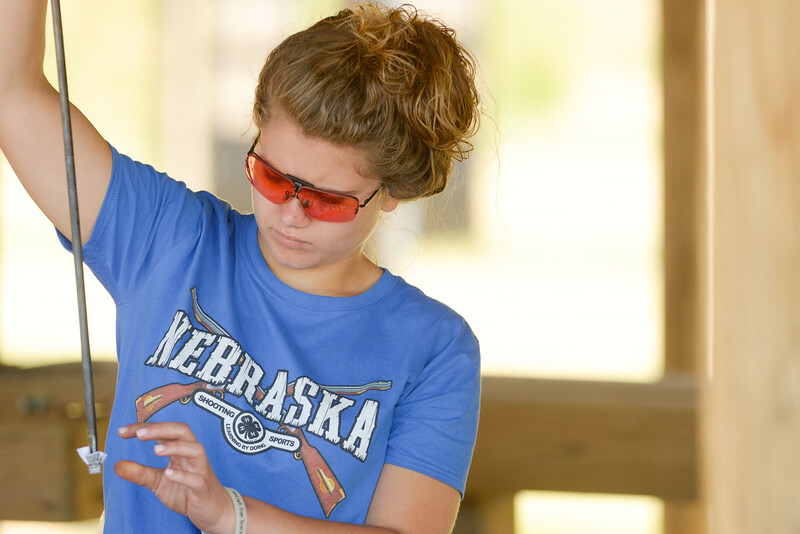 Nebraska has hosted this event for nine years, and the friendships that have formed between our shooting sports volunteers has been amazing," Pritchard said. "They really look forward to returning to Grand Island each year to support youth participants from across the country at this event." The free event is open to the public. For more information, visit http://4h.unl.edu/4hssnationalchamp.